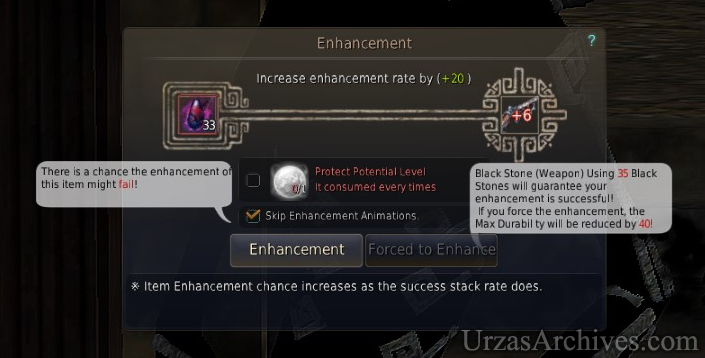 With the new +16 – +20 Enhancing Failstacks has become even more important in Black Desert Online but there is a problem with Failstacks… if you need them you do not get them and if you do not need them you get them. Thanks to that generating Failstacks can costs tremendous amounts of Silver. However Valenica finally offers a very cheap and unlimited way of Failstacking that using Reblath becomes redundant. How does the new Failstacking work? It is all about hunting bro! Muskets have a high chance (above +5) of failing the enchant and in addition they can drop in their enhancement level once you try to enhance +7 to +8 combining that with their very low crafting costs and their very fast crafting speed Muskets are perfect for Failstacking. 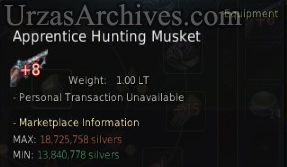 Further, high enhanced Musket (when you are Lucky) sell for a very high price allowing you to decrease the overall costs for your Failstacking. The best thing, as already mentioned, is the very easy way of producing them. A Lv2 Tool Workshop in combination with an average Worker needs between 10-15 minutes per Musket adding three Tool Workshop allowing you to produce easily more than 15 Muskets per hour. Sustaining your extensive Failstacking is secured. What Muskets should I craft? 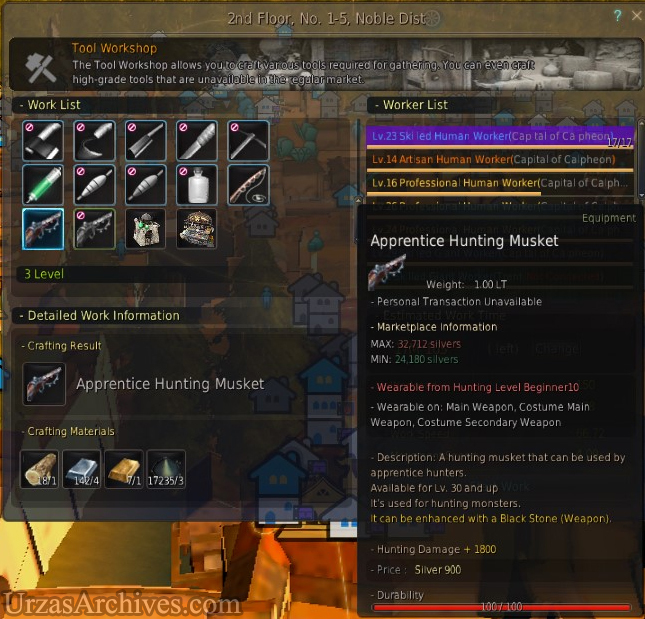 A +8 Apprentice can already be sold for around 19 million Silver.